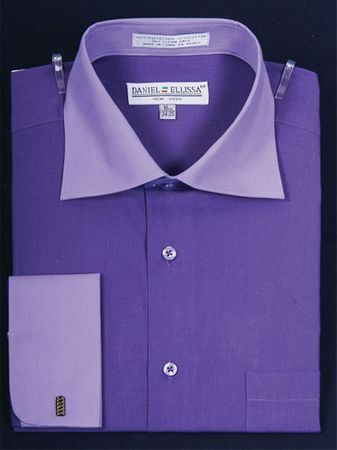 This purple with lavender 2 tone dress shirt is made by Daniel Ellissa. If it looks Italian, that is because it was designed in Italy. this purple with lavender collar dress shirt features a spread collar and french cuffs that always look good with a Windsor knotted tie. Made of Cotton/Poly fabric.